New to Kingdom Harvest Church? Thank you for your interest in the Worship Team Ministry at Kingdom Harvest Church. We believe that God has a plan and purpose for every Christian and that purpose will be fulfilled in the local church. Since you are interested in this area of ministry we want you to be encouraged and know that our desire is to see you fulfill all God has called you to do and be. As a part of the worship team, we have specific guidelines that we have established for our team to work together and to be the best we can be. The purpose of the Kingdom Harvest Church Worship Team is to edify and build up the body of Christ by creating an atmosphere for the anointing of God to flow. Our goal is to lead our congregation into a passionate, exhilarating, and intimate time of praise and worship every time we come together. We want KHC to be a place where people can experience a divine encounter with the Lord and have their hearts prepared to receive the teaching of the Word of God. 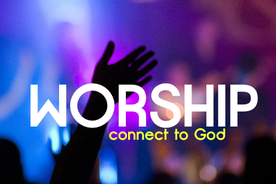 In order to lead the congregation in true praise and worship, we must be true and passionate worshipers. Give thanks to the LORD and proclaim his greatness. Let the whole world know what he has done. Sing to him; yes, sing his praises. Tell everyone about his wonderful deeds. Exult in his holy name; rejoice, you who worship the LORD. Search for the LORD and for his strength; continually seek him. God has gone up with a shout, The LORD with the sound of a trumpet. Sing praises to God, sing praises! Sing praises to our King, sing praises! For God is the King of all the earth; Sing praises with understanding. I will praise You, O LORD, with my whole heart; I will tell of all Your marvelous works. I will be glad and rejoice in You; I will sing praise to Your name, O Most High. 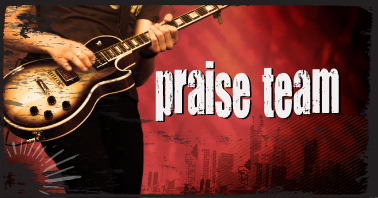 • There must be evidence of a gift and a degree of skill to be able to participate on the Worship Team. • Play and sing skillfully and joyfully. David also ordered the Levite leaders to appoint a choir of Levites who were singers and musicians to sing joyful songs to the accompaniment of harps, lyres, and cymbals. • Make a habit of practicing your instrument and even taking lessons in order to be proficient and play well with other team members. Do you see a man who excels in his work? He will stand before kings; He will not stand before unknown men. • Lifestyle of worship – If we are going to lead people into worship, we must be people who love to worship God and honor God privately, with our lifestyle, and publicly. • Even as Jesus came to minister (serve) rather than be served so we must be looking for opportunities to minister outside of the Worship Team. • To do this we must be mature enough to keep ourselves built up so we can give rather than needing to be helped all the time. • This requires us to be aware of people around us and reach out to them during a service and /or during the week. • Be willing to do whatever needs to be done, even if it’s not on the platform. A humble spirit is required to be in front of people. Otherwise your pride will remove you from a place of honor. • Jesus said the truth we know will make us free. • In order to help others be free in their worship, it is essential that we show the congregation what freedom in worship is. • The anointing of the Holy Spirit is able to flow only if the vessel is free. © 2019 Kingdom Harvest Church All Rights Reserved.